I just experienced a substantial boost to my geek-ego… for the first time ever I succeeded in compiling a software program from source! After upgrading my laptop to Linux Mint 15 over the last couple of days, I discovered that Bibletime 2.9.1 presented me with blank pages instead of Bible text, commentaries, etc. My first thought was “hmmm… maybe I’m looking at white text on white background?” No such luck. If that were the case, you could still click and drag over the text and copy/paste, etc. The window was actually empty where there should have been text, no matter which Bible, commentary, etc. was opened. I tried downloading a new copy of the KJV Bible using the Bookshelf Manager… still the same issue. 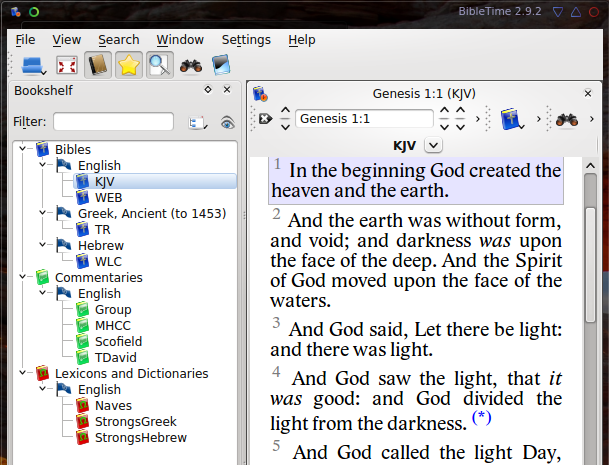 Well, let’s see what the newest version is at Sourceforge… Bibletime 2.9.2. 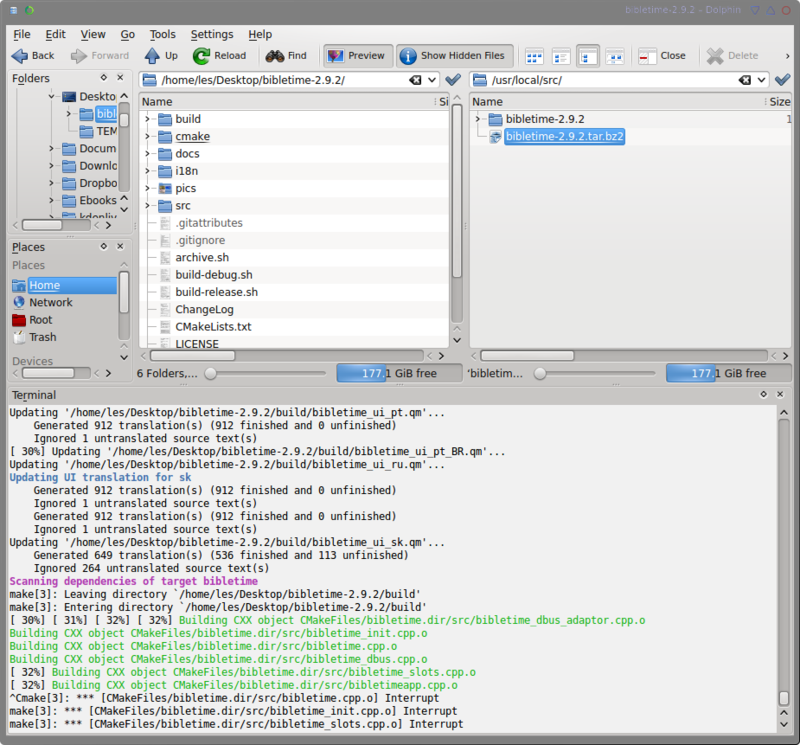 -right-click on the “Start button” (using Windows-Speak) or, more correctly in KDE… the “Application Launcher Menu” button. -select the new Bibletime entry in the menu editor tree, and type “Bible study tool” or whatever you like in the description line on the right. Hopefully, when you click on Bibletime in your menu, it should fire right up! Enjoy!